If you’re full-time mama running an online biz you know how valuable time truly is. I bet you’ve tried to minimize the amount of time you work while maxing out your productivity, haven’t you? I love that I get to work from home while my daughter naps. But let’s face it, some days it can be really tough. Not letting the comfort of your home or the calling of the couch & a Netflix binge distract you can be a constant challenge. 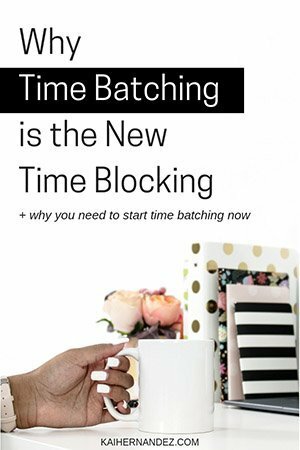 Possibly the only way I was able to get my new biz up and running so quickly is all thanks to time batching! It gave me the ability to get a crap-load of work done for weeks in advance so I wouldn’t have to stress every day about getting the same things done. What Actually is Time Blocking? Yep, you guessed it! Time blocking is legit just what it sounds like. It is a chunk of time, and this block of time is dedicated to one particular task. As mamas, this is something you have a lotttt of experience doing. Think about your typical day at home with your little one. I bet you can create blocks of time that are dedicated to one particular task. Blocks like lunch time, nap time, or bedtime routines. This is something that you can also transfer over to your biz super easily. In fact, I can almost guarantee that you already do this to some extent because if you didn’t, you wouldn’t get anything done as a wahm! For me, my blocks are usually during nap times or after my daughter goes to bed. I know I have a set end time, and I just use that block of time to work.work.work.work.work. on one particular thing until it’s done or my time is up. It could be a block of time when your little one is at preschool, visiting grandparents, on a playdate, etc. The important aspect is that it is a set amount of time, dedicated to just one task so that you can truly knock it out. Back when my daughter was first born and I was just starting, I remember getting so overwhelmed every day about this one particular thing. It is my most memorable struggle, and I know you will relate. It was figuring out what the heck to post on my new Instagram every day. And O.M.G. it was the most difficult thing to do. So I decided to set aside a block of time one day and take multiple images, and create a caption for each so that I could stop stressing out every single day. I had a whole week done in advance. What could have taken me an hour each day (plus countless minutes of stress!) took me just a few hours in one day. That’s a minimum of 4 hours I saved that week, and it was much less stress. So I took this new concept of batching I had just started using for Instagram, and ran with it. I started figuring out how to batch multiple blog posts once a month, multiple Instagram posts, email broadcasts. You name it, I probably tried to batch it. The two of these actually fit together perfectly in the daily life of a mamapreneur. A lot of the time we have to get work done in a short block of time when our little ones are sleeping or at preschool, which gives us a set end time. If this block of time is dedicated to one particular task, it is crazy how much can actually be accomplished! One of the biggest ways to save time, is to just not repeat the same task every day. 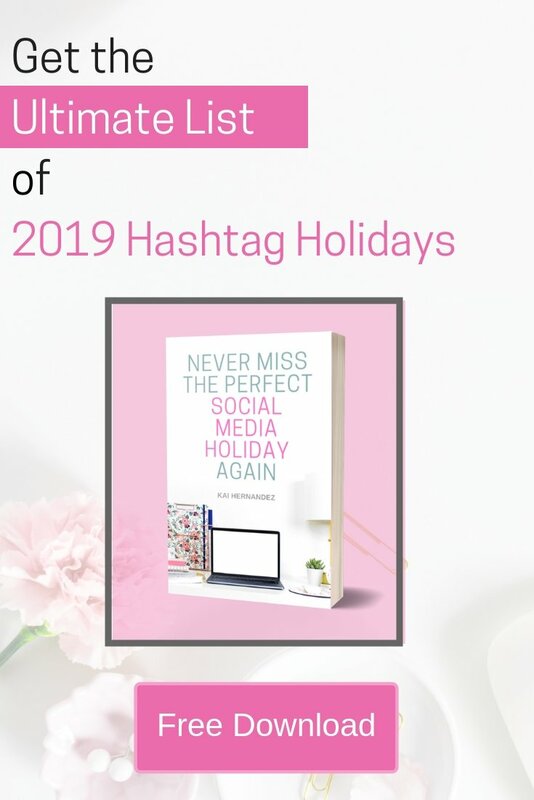 Much like my experience early on with Instagram, there are a lot of things that we can easily batch in a set time block for the entire month in advance and automate. So instead of creating a new social media post every day, you get to move on to the next thing without missing a beat! First, find your blocks of time, like you would use for time blocking. Next, figure out what you are going to batch ahead for and knock out for the week/month so you have time to achieve those big biz goals. Tired of wasting countless hours running from task to task? I’ve got the perfect thing for you, just click here.